A user in engineering says he has a very old program on a floppy disk that he used to run 20 years ago to perform a special analysis on steel structures. It ran an operating system named CP/M. Is there any way to run a CP/M program on today's systems? No there is not. CP/M is an OS... it cannot run on top of another OS. What's more is that it is so very different from today's standards and came out before Win 3.11. "PIP" stood for Pheripheral Interchange Program it's function was the exact same as DOS's "COPY" command. That's how very different they are. To run CP/M in my old Apple IIe, a controller card was required and configured. It ran satisfactorily on top of Applesoft... but Applesoft is similar to the old DOS 3.3 or older (actually Applesoft is a bit different command-wise as well -- CATALOG instead of DIR). If you could possibly find a CP/M controller adapter that is PCI based, then you may possibly be able to run that old CP/M based program. Although I think the speeds of today's computers may be aproblem too. Here's a link to a CP/M resource site. They have CP/M emulators for DOS, and a program to allow a X86 PC to emulate a CP/M PC. They have a number of Windows based applications available for download. 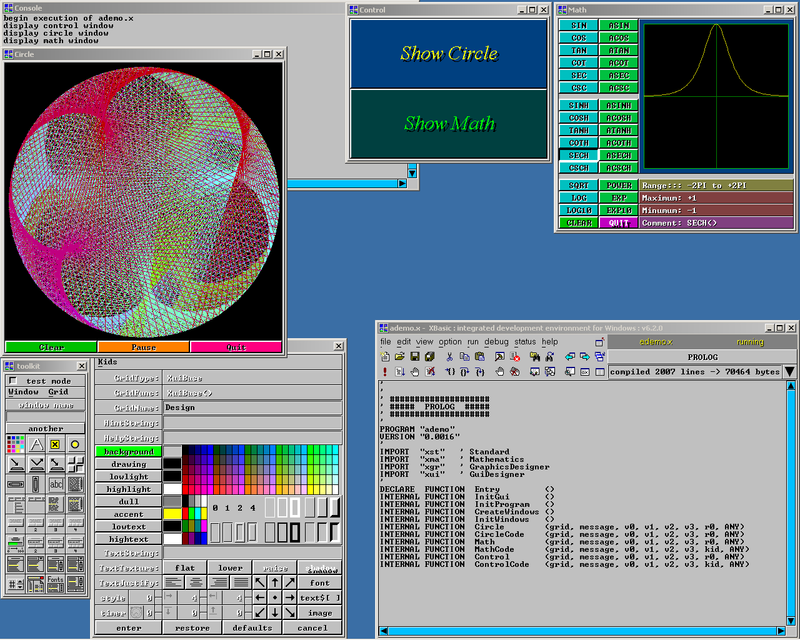 XBasic looks pretty good on http://xbasic.sourceforge.net/gfx/xb1-win32.png Is'nt it? Yes...there is a version of CP/M called CPM-86 for IBM PC's and compatibles which can be downloaded and a boot floppy created. CP/M disks have a completely different format to MS-DOS so the boot floppy runs an MS-DOS loader which then boots a CP/M loader, reconfigures the floppy drive parameters (sectors,cylinders and tracks) then allows you to run CP/M software from a floppy. CP/M-86 does not support hard disks. Do an internet search for CP/M or Operating Systems. I run CP/M and Wordstar onmy 2GHz P4 laptop to access old docs from years back! Referring to answer 3, I doubt the program was in basic....more likely to be in FORTRAN or COBOL under CP/M. Getting the source either way will be the problem. CP/M disks use a different format from FAT12 (DOS) and cannot be read directly on a PCwithout remapping the drive parameters using a loader. Like trying to read 880kb Amiga disks on a PC! However you can read CP/M and DOS disks on an Amiga!! Alternatively, get your hands on an old Apricot Portable (circa 1984)...the can run either O/S. CP/M is an 8 bit operating system, by the way, designed for the Zilog Z80 processor!